Increase the stablitly of your reloading bench. These heavy gauge steel Stong Mounts increase the machine's "foot print" to over 10", spreading the load over the bench instead of stressig the leading edge. 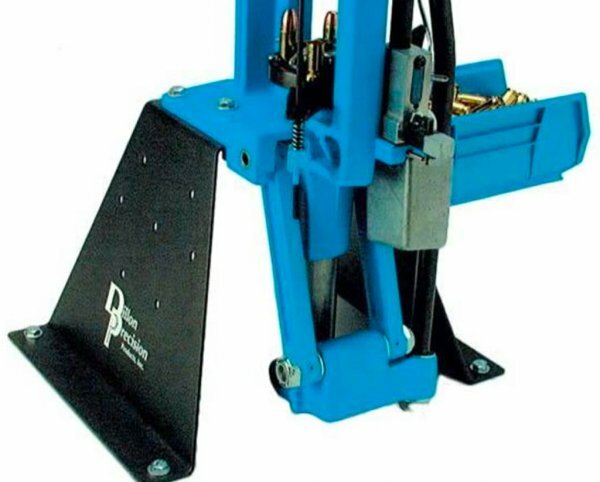 Strong Mounts raise your machine 8", providing a comfortable work height for people who prefer to stand while reloading. All Stong mounts will include mount fasteners.